This simple yet the perfect gift to celebrate special moments this valentines day. 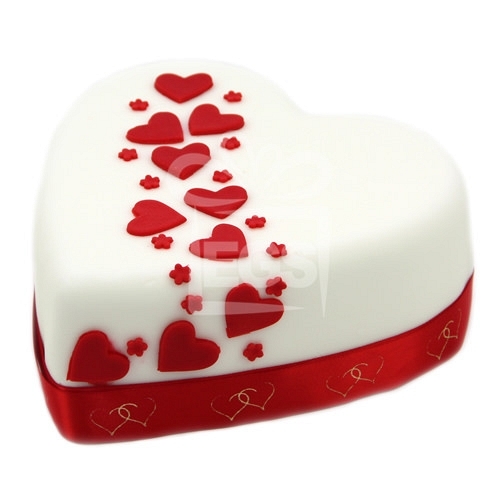 This heart shaped cake is decorated with Little Hearts and Stars pattern message on soft white icing covered cake. What a better way to say I Love you to the love of your life. You can also personalise this heart and stars cake free with your message printed on the ribbon up to 25 characters in the box on right.